The Dubai Miracle Garden is a flower garden located in the district of Dubailand, Dubai, United Arab Emirates. The garden was launched on Valentine's Day in 2013. 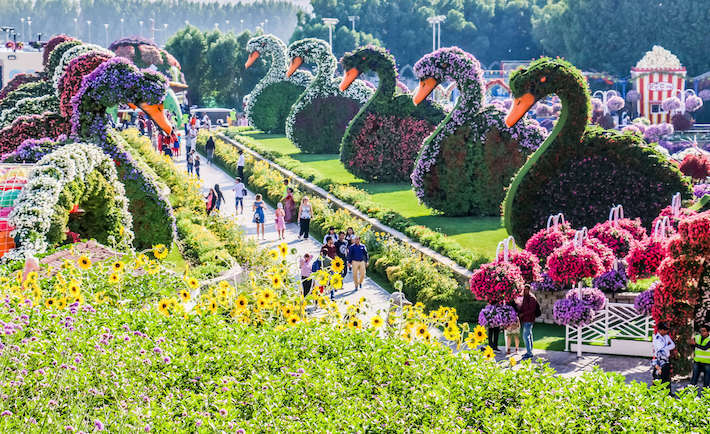 The garden occupies over 72,000 square metres (780,000 sq ft), making it the world's largest natural flower garden featuring over 109 million flowers planted. In April 2015, the garden was awarded the Moselle Award for New Garden Experiences of the year by the Garden Tourism Award 2015. 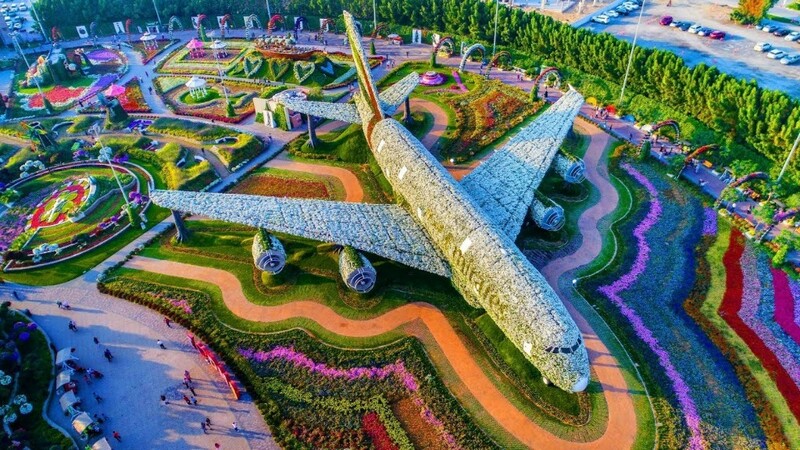 The concept of the first miracle garden project was formed under an agreement between Dubailand and the Dubai Properties Group destination. The project development was done under an agreement with Akar Landscaping and Agriculture Company, led by Jordanian businessman Abdel Naser Rahhal. The cost of the project was estimated at AED 40 million (US$11 million). Phase one of the project was completed and opened in February 2013 which consisted of 21,000 sq. ft. outdoor facility including vertical and horizontal landscaping design where each of them have their own design. The development of phase one took two months and required 400 workers. Phase two of the project was initiated in mid-June 2013 and was completed in October, where it involved the 70 percent expansion of the 21,000 sq ft and construction of the 850,000 sq ft multistory car park, which increased the total area of the garden to 2 million sq ft. Phase two development also included the addition of the floral clock, the butterfly garden, retail stores and mosques.